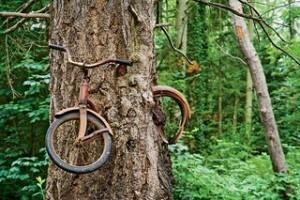 There are a lot of stories floating around the internet about how the bike ended up in the tree. Here’s one that may or may not be true. Be sure to visit Renee at No Water River for the complete Poetry Friday roundup. 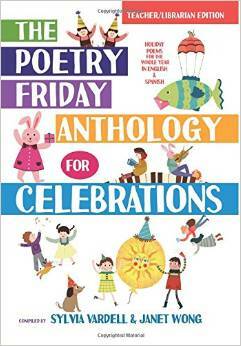 Happy Final Friday of National Poetry Month! This entry was posted in Uncategorized on April 24, 2015 by Buffy Silverman. The Progressive Poem: Who is that Fisherman? Welcome to the Progressive Poem! One of the highlights of National Poetry Month for me is participating in Irene Latham’s progressive poem. The poem is a group venture in the month of April, with each poet adding a new line and sending it on its journey. And today the poem has landed here! Our girl/mermaid has had quite an adventure as she bounced around the internet (look at the sidebar on the right for a complete map of her trip.) She started in a net-less state on the delta, with bare feet, fast hands, wild hair, a mysterious handbag, and a beautiful bracelet. Then after tripping over her tail and slipping in the swamp, she listens to ibises, remembers sage advice from her grandmother, and seizes a paddle. Yesterday, after some spectacular research by Ruth, she looked into the eyes of a startled fisherman in his green pirogue and carrying his crawfish trap. Now what?? Happy Poetry Friday! Visit Life on the Deckle Edge where Robyn has this week’s round-up. This entry was posted in Uncategorized on April 17, 2015 by Buffy Silverman. I Am Not a Squirrel! I’ve been enjoying my daily poetry exchange with Liz Steinglass for National Poetry Month. Liz has been posting a poem inspired by the contents of her desk on her blog every day. Most of mine are not ready for prime time and are sitting in a file. But I’ve decided to share one poem a week in an effort to put some April poetry out in the world. This poem was inspired by Tricia Stohr-Hunt’s challenge to write a somonka, which according to Tricia is “a Japanese form that consists of two tanka written in tandem. The first tanka is usually a declaration of love, with the second a response to that declaration. While this form usually requires two authors, it is possible for one poet to write from both perspectives.” My pair of tanka is far from a declaration of love and response. 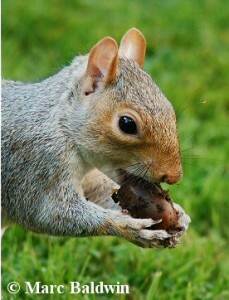 Rather it is a contrast between the squirrel-like critter I would like to be and the reality of my procrastination. I wrote it one morning after staying up until 2:00 am to meet a writing deadline. hustling from daybreak to dusk. Don’t procrastinate in checking out all of the Poetry Friday treats around the internet. Laura Purdie Salas has today’s roundup on her blog. This entry was posted in Uncategorized on April 10, 2015 by Buffy Silverman.